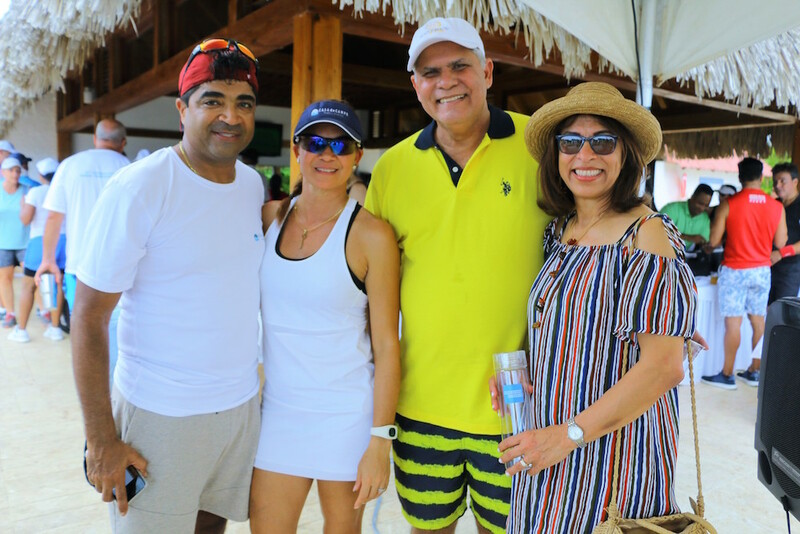 On Sunday, September 2nd, was the last day of the 41st International Casa de Campo Tennis Tournament which was played at the La Terraza Tennis Club from Thursday, August 30th through the weekend. José Olivares and Laura Quezada were crowned singles champions in the Invitational category, whilst Jean Michael Alfaro and Juan Osvaldo Suárez were crowned doubles champions in the men’s category. 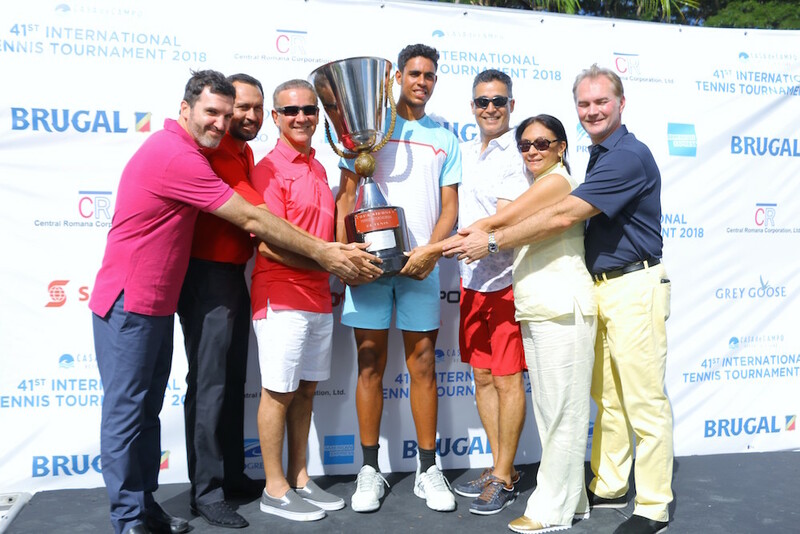 The Casa de Campo Tennis Cup is not only the Dominican Republic’s most prestigious tennis event, but it is also the most long-running and most successful, each year hosting numerous participants from across the Dominican Republic and around the world. It all started back in 1978 when Don Enzo Mastrolilli, then-President of Ron Siboney (Siboney rum) masterminded a plan to host the Dominican Republic’s leading tennis event here in Casa de Campo. 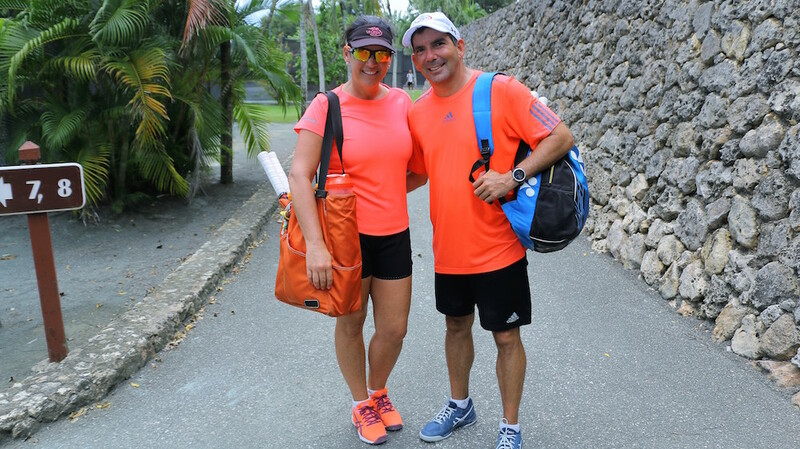 Together with Juan Rios, Casa de Campo’s first Director of Tennis, he flew out to Puerto Rico where he met with Ramon and Luchy Mendez, who became the event’s co-founders. The event was once again very successful! With over 200 players from Costa Rica, the Ukraine, Guatemala, Colombia, Great Britain, Venezuela, Argentina, Mexico, and USA. The singles matches were played from Thursday to Saturday and that same day were the first doubles games. The La Terraza Tennis Center also hosted a dinner on Saturday night for the players and the finals on Sunday. During the finals, Dominicans Alfaro and Suárez won for the fifth consecutive year the title of the division by defeating David Perez (Dominican) and the Mariano Briceño (Venezuelan), 8-4. Olivares won the men’s title by beating Costa Rican Joaquin Caballer in the final with a 6-1, 6-1 scoreboard. On the other hand, Quezada won the women’s crown after defeating in a decisive match the American Nikky Saladin with a score of 6-4, 6-3. The award and closing ceremony of the tournament was headed by the President of Casa de Campo Resort & Villas, Andrés Pichardo Rosenberg, who was accompanied by Juan Velásquez, vice president of Costasur; Matías Territoriale, tennis director of the La Terraza club; Jason Kycek, Vice President of Sales and Marketing, of Casa de Campo Resort & Villas; María Mastrolilli, wife of the founder of the tournament, Vincenzo Mastrolilli and Gervasio Guareschi, senior vice president of Banco del Progreso. During the ceremony, Pichardo Rosenberg presented Mrs. Mastrolilli with a recognition plaque for her contributions to the tournament and the development of tennis at the La Terraza club. 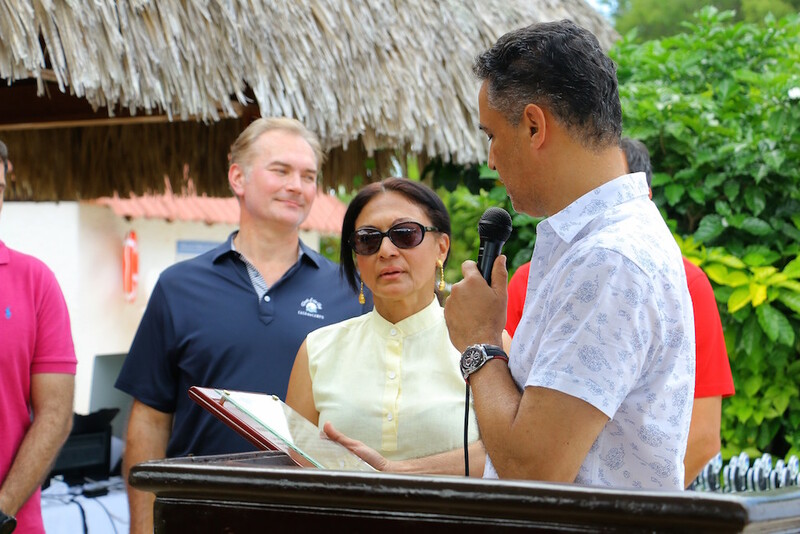 When presenting the plaque he highlighted her extraordinary contributions to the strengthening and celebration of the contest, for her dedication, passion and painstaking work in favor of tennis at Casa de Campo, especially with the Ballboy Foundation. Upon receiving the distinction, Mrs. Mastrolilli, barely containing the tears of emotion, thanked him for the recognition and recalled the devotion of Don Enzo for the Casa de Campo tennis tournament and that the best way to honor his memory is continue to contribute to the success and continuity of the event. We congratulate the winners and all who participated who showed tremendous effort and made the 41st International Tennis Tournament a success. Invitational male: Jean Michael Alfaro and Juan Osvaldo Suárez (RD) defeated David Pérez (RD) and Mariano Briceño (VEN) 8-2. Senior A male: Manolo Pérez and René Spieler (RD) to Zoroastro Cucurullo and Nino Espinal (RD) 6-4. B male: Kennifer López and Carlos Romero (RD to Juan Carlos Suárez and José Isa (RD) 8-4. Senior B male: Joey Short and Jorge González (PR) to Francisco Carbonell and Andrés Pagán (PR) 8-3. C male: Roberto Garrido and Julio Troncoso (RD) to Miguel Jiménez (RD) and Massimo Genatiempo (ITA) 8-3. Senior C male: Augusto de la Cruz (NY) and Johnny Suárez (RD) to Rafael Cruz and Raffy Lantigua (RD) 6-4. D male: Michael Peña and Bismark Tavárez (RD) to Luis Amador and Juan Balbi (RD) 8-5. Invitational female: Laura Quezada and Abby Candelier (RD) to Ana Pérez and Melissa Báez (RD) 8-3. B female: Lisset Martínez and Diana Porcella (RD) to Mirtha Suárez and Idarmis Cucurullo (RD) 8-4. C female: Claudine García and Patricia Pichardo (RD) to Kilsy Rosario and Jackeline Serulle (RD) 6-3. D Feminine: Miguelina Madera and Margarita Camacho (RD) to Laura Guzmán and Laura Medina (RD) 8-3. Mixed A: Jean Michael Alfaro and Idarmis Cucurullo (RD) to Sally Bogaert and Juan Carlos Suárez (RD) 8-4. Mixed B: Roberto Garrido and Kilsy Rosario (RD) to Manolo Pérez and Miguelina Madera (RD) 6-4. Invitacional masculino: José Olivares (RD) le ganó a Joaquín Caballer (CRC) 6-1, 6-1. Senior A masculina: Manolo Pérez (RD) a René Spieler (RD) 8-4. B masculina: Juan Carlos Suárez (RD) a Juan Osvaldo Suárez (RD) 8-7. Senior B masculina: Francisco Carbonell (PUR) a Juan Stanley (RD) 6-4. C masculina: José Martínez (RD) a Cristian Rempel (RD) 8-3. Senior C masculina: Rafael Cruz (RD) a Augusto de la Cruz (NY). D masculina: Michael Peña (RD) a Bismark Tavárez (RD) 8-2. Invitacional femenino: Laura Quezada (RD) a Nikky Saladín (EUA) 6-4, 6-3. B femenina: Lisset Martínez (RD) a Mirtha de Marchena (RD) 8-5. C femenina: Claudine García (RD) a Kilsy Rosario (RD) 8-5. D Femenina: semifinales: Miguelina Madera (RD) a Laura Guzmán (RD) 8-3.